General Theory of Relativity = Gravity too; referentially, eh? Anagram by V. Rabin (2003) on anagramgenius.com website. If we turn our backs on things as yet untried within our own small realm of reference, we’re guilty of a sin against ourselves: An unwillingness to experiment. 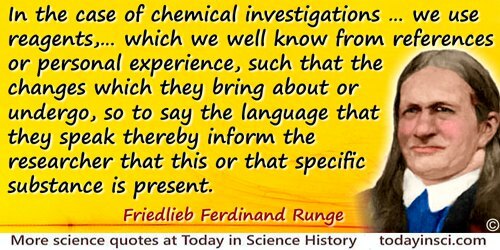 The present state of the earth and of the organisms now inhabiting it, is but the last stage of a long and uninterrupted series of changes which it has undergone, and consequently, that to endeavour to explain and account for its present condition without any reference to those changes (as has frequently been done) must lead to very imperfect and erroneous conclusions. In Letters, British Medical Journal (9 Feb 2002), 324, No. 7333, 364.